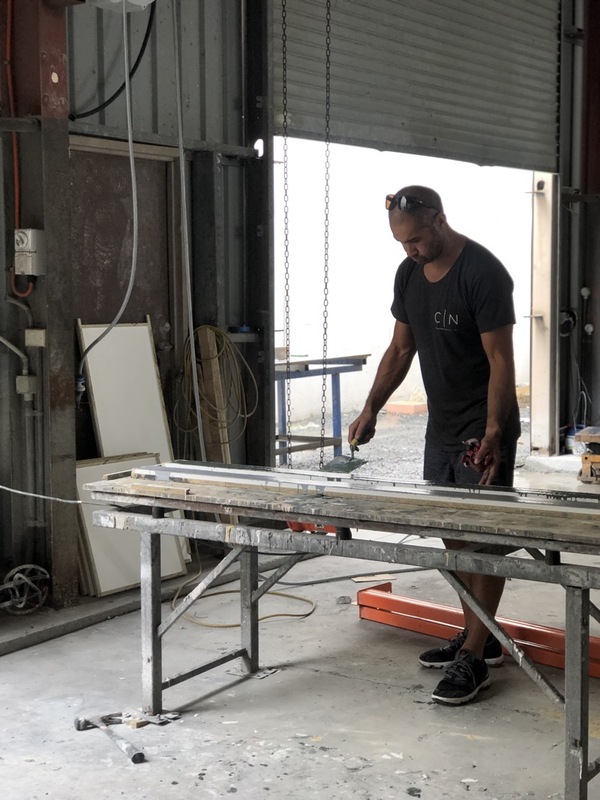 As part of out Meet the Team series, allow us to introduce you to Concrete Nation’s co-founder and master craftsman, Jason Lett. For those of you who don’t know the back story of our family-run business, Jason met his wife and fellow co-founder Kate in the United States where the New Zealand native was playing rugby union and working for a builder. When a builder friend told Jason about the Yestermorrow Design/Build School, which offers hands-on workshops in design, construction and architectural craft focusing on sustainable design, he was intrigued. Jason took a course in Concrete Countertops, which included every aspect of the process of forming, mixing, colouring, pouring and sealing concrete countertops, and spent the next two years perfecting his craft. After the birth of their first daughter Riley, the couple relocated from the US to Queensland’s Gold Coast where they launched Concrete Nation from a small storage shed at Burleigh Heads. Concrete Nation is now an industry leader with a slew of exciting projects and collaborations to announce in the coming months. 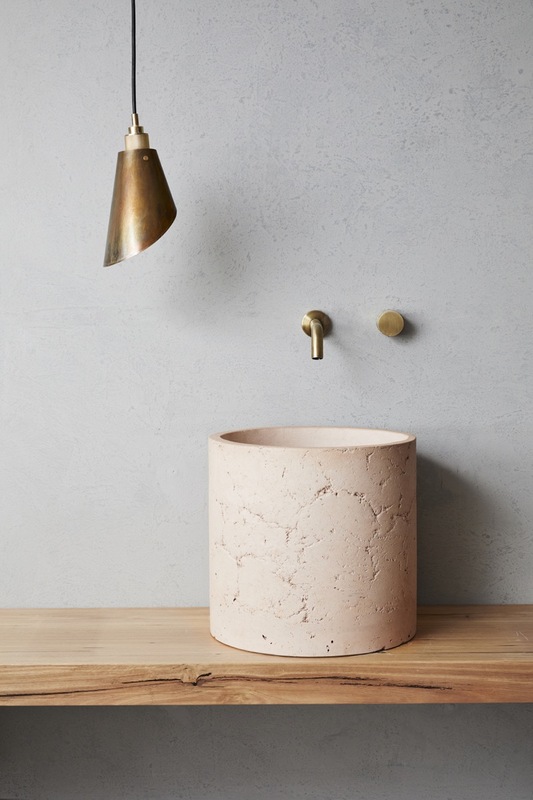 Here Jason chats trends, coloured concrete and his favourite projects to date. Can you share your favourite Concrete Nation project to date, and why? My favourite project to date was the Pod House. The house consisted of two concrete pods and everything was curved. There was not a single right angle in the house. We created a wave-like benchtop that curved up from the floor as well as several other bespoke pieces. It was one of the most difficult projects that we have worked on and I really enjoyed working with our team to figure out how to not only create it but to also transport it. The end result was amazing. What are some design or interior trends you love at the moment? Coloured concrete! It’s great to see that people aren’t shying away from colour. When we started creating colourful concrete, we weren’t sure if people were going to embrace it. Now, our coloured pieces are some of our most popular. We recently did some work at The Range down at Byron Bay. That home was everything I would want in a house. The natural, earthy rawness of it really spoke to me. You can’t beat it! After spending 10 years in the States, I’ve come to really appreciate the laidback lifestyle on the Gold Coast. Being able to wake up early and go for a surf or a run along the beach before work is the perfect way to clear your head from all the craziness of running a business. It is really a great balance here. What are you most proud of in business? I am proud to look back on where we started to where we are today. We have grown and learned so much along the way, and every day we are learning more. It all started with me in a small 100m2 shed and now here we are with an amazing team that I get to work with everyday. I feel really lucky. What is next for Concrete Nation? You’ll have to wait and see! [laughs] We have some really exciting things coming up this year. We are always throwing around ideas and that’s the great thing about concrete… anything is possible! Jason loves that clients have embraced coloured concrete. Jason’s favourite Concrete Nation piece, the Malta Basin.